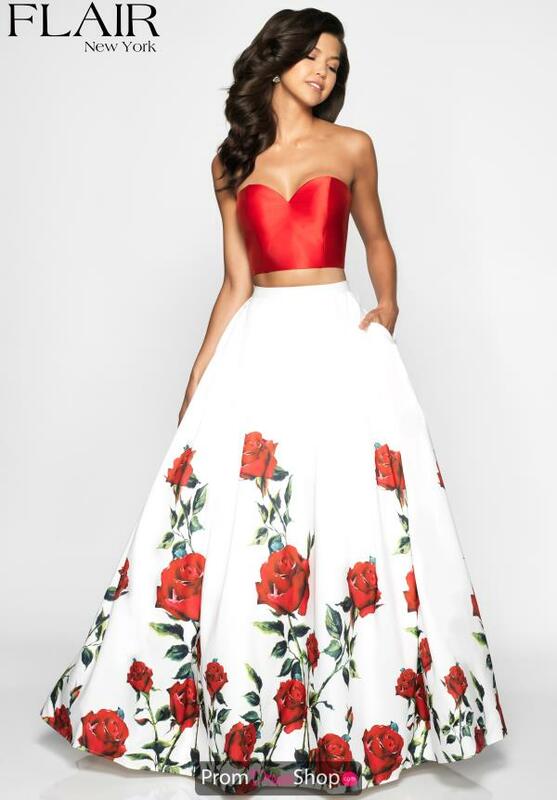 This alluring Flair style 19049 will leave everyone speechless as you walk in to your senior prom. Amazing two piece dress highlights a simple yet chic sweet heart neckline crop to with a back zipper closure. 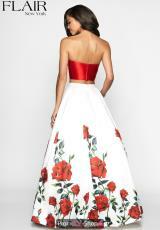 The incredible a-line skirt is adorned with breathtaking floral print creating a romantic and lovely look.